overcoming › Buy Poster of Hand drawn Caligraphy about business concepts overcome big idea recruitment possibilities way up icon or logo. Lettering calligraphy vector illustration. 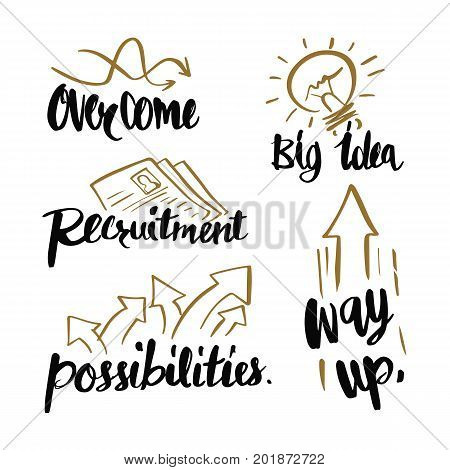 Poster of Hand drawn Caligraphy about business concepts overcome big idea recruitment possibilities way up icon or logo. Lettering calligraphy vector illustration.